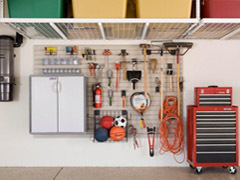 Slat Wall is great for storing odd shaped items. Tools, Gardening Equipment, Sports etc. Replace that peg board with our Wall Werks Slat Wall system. 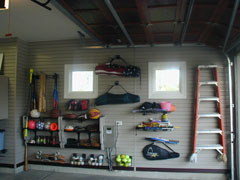 Wall Werks is the cellular PVC slatwall, designed to store and organize your garage. 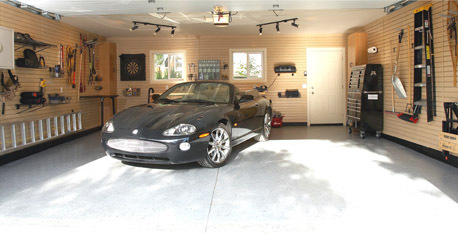 Used as a complete wall or as a complement to your existing garage storage, Wall Werks allows a flexible layout that easily adapts to your storage needs. 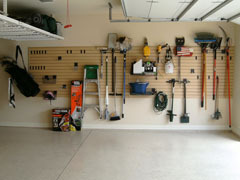 Keep the garage clean by hanging everything from power tools to rakes to cabinets on the Wall Werks system. When it gets dirty, spray it down with a hose. Length: 48 or 96 in.